Lower fertility rates are more and more predominant around the world. The reasons for this are many. The declining fertility in most countries around the globe is studied immensely. Several current studies that affirm that most women are not only having children older but are sticking with just having one child. Fertility rates and the average births per woman over her lifetime have been decreasing over the past decades, as is possible to observe based on the statistics. The 2018 World Population Data Sheet estimated that the average worldwide total fertility rate is 2.4 births per woman. This means that most women around the world are having less and less children in comparison to 20/30 years ago. These rates are not the same for every country, as we can see in the graph below. In particular, these fertility stats have been in decline in most first world countries. They have even been going down in countries with the largest population densities – like China and India. China now has a fertility rate of 1.6 per woman whilst India has a fertility rate of 2.3 per woman. Most countries that contradict this decline with a higher fertility rate are located on the African continent. Niger, Somalia and the Democratic Republic of the Congo are the top 3 countries with higher fertility rates. Taiwan, Moldova and Portugal, on the other hand, have the lowest fertility rates in the world. In par with fertility rates going down, infertility statistics have been growing more and more over the years. The reason for this happening is difficult to pinpoint exactly, as many studies believe there are a set of culprits. Infertility can be loosely explained as the inability of a couple to conceive a child. Usually, these couples try for more than 12 months – and some even longer – without any success. Most infertility problems are caused by illness, accident, injury or a congenital issue. Infertility can create several problems for a couple, ranging from psychological, medical, economic or others. The repercussions of infertility are not only studied in terms of statistics but in terms of the personal and within the intimate relationship of the couple. Some academics estimate that the cases in infertility throughout the world have gone up to 9%. Others declare that infertility is affecting 15% of the global population nowadays, which is estimated to be 48.5 million couples. Of these cases, around 20% to 30% (depending on the study in question) are thought to be caused by male infertility. It is estimated that about 30 million men are infertile worldwide. It’s generally accepted that around 50% of infertility cases are due to female conditions, with the remaining percentage caused by a combination of male and female factors. Most studies conclude that the trend for having children later in life is definitely a contributing factor to increased infertility problems. It is believed that women under 30 years old have an approximately 70% success rate of conceiving in the first three months. Whilst, women over 35 years old, however, have only around 40% success rate of conceiving in the same time period. Infertility statistics are higher in North Africa, Middle East, Oceania, among some others. It is believed that, in developed countries, at least 8% of couples are infertile – which means that the true number could be even higher. For example, it is estimated that 1 in 7 couples in the UK has problems with infertility in their relationship. The United States has a large rate also, being estimated that 10- 15% of all couples there have infertility issues. Still, most couples are successful in conceiving, even though they are considered to have infertility problems. Approximately 50% of couples that have not conceived in the 12 month period initially stated as the criteria to diagnose infertility are able to get pregnant over the following two years. In correlation with the increase of infertility in many countries around the world, there has been an obvious increase in couples deciding on fertility treatments too. Year after year, it is estimated that the number of couples looking for solutions to their fertility problems has gone up as quickly as the infertility rates. At the same time, couples have a hard time choosing the fertility treatment of interest. This is due to the challenges that fertility treatments still present today. In many developed countries, like the United States, many cities don’t have insurance coverage for these kinds of procedures. This leads to many couples not having the budget needed for these expensive treatments, dismissing this option altogether. Besides this, many countries have difficulty facilitating these medical services to their native population. Studies estimate that most countries, especially European countries, don’t meet the required necessity of fertility treatment cycles. This is estimated to be 1500 cycles per million people each year. At the same time, not having any certainty that the treatments will work leaves many couples, including undertaking fertility treatments abroad. This is not only because the treatments itself have no guarantee that they will fix the fertility issue, but also because of the costs outway the concern of success. Global differences in IVF treatments have had a noticeable effect on particular types of assisted pregnancies. For example, multiple birth statistics have opposite trends in Europe and in the US since 2015. In Europe twin pregnancies are generally in decline, currently standing at around 14% of assisted pregnancies. US fertility treatments (where multiple embryo transfers are commonplace) have ensured an increase in multiple births. This can be attributed to fertility treatments like IVF Cycles and Controlled Ovarian Stimulation. Reports like this one show future patients most of the success rates or statistics of fertility treatment available of past procedures. Many curious couples use these statistics to understand the chances and risks they may have whilst undertaking these fertility treatments. In this case, the report has statistics from the US, and of all donor possibilities, being the patient’s own eggs, frozen or not, and the statistics for Donor Eggs too. Also provided is a statistic for Thawed Eggs (which are frozen eggs, but unfrozen using a different technique). This helps to demonstrate the number of techniques existing for these treatments. Fertility treatment rates take some time to be published publicly, making these 2016 figures the most up-to-date available. The growth in multiple births is, in fact, a direct result of more and more couples using fertility treatments as a solution to their infertility. Unfortunately, this increase also raises more concern and discussion of the problems that can come with multiple birth pregnancies. Miscarriages, Stillborns, Infant Deaths, Preterm Delivery and other pregnancy complications can all pose an increased risk when it comes to multiple gestations. Although fertility treatment rates have been increasing in popularity throughout the world, in the United States, less than 50% of women who have infertility issues receive treatment and seek medical help. This can be related not only to costs but success rates and the difficulty of their specific fertility problem. At the same time, it is estimated that nearly 12% of infertile women receive some type of fertility treatment. Many couples, before deciding on specific treatments and choosing which treatment would be a good fit for their infertility problem, look for information online. Not only about where the procedures are being conducted, but for information about the procedures themselves. Success rates are one of the most important pieces of information that a couple can discover to help them. 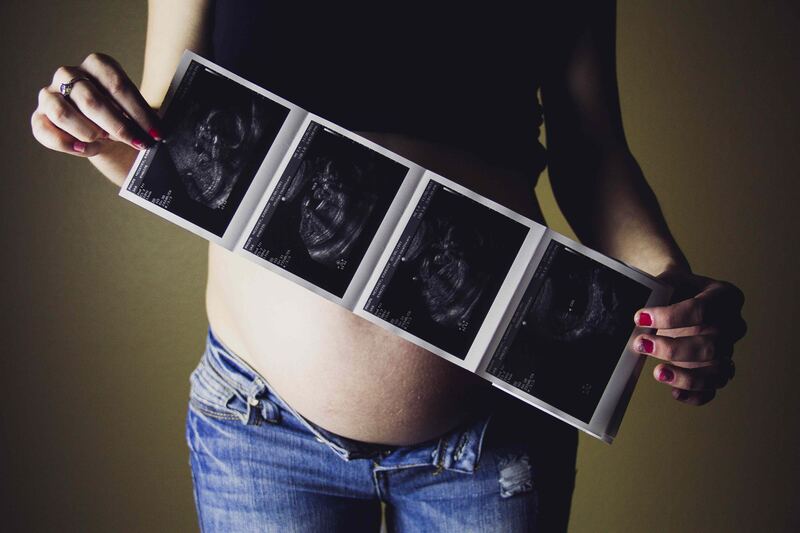 Not only to ease their minds but to understand the chances they have at conceiving a child. In terms of IVF, a lot of information about the success rates of the procedure have been published, so it can be difficult to know where to start. It all depends on the factors of the couple involved and the health of all the intervenient parts. In the graph below, we can see an IVF Success Rate Calculator. This graph approximately calculates the probability of IVF Success Rate dependent on which IVF cycle the patient is in. After talking to your doctor, and being aware of the rate of your Per Embryo Transfer Value (Embryo Transfer is referred to one of IVF process´s of the embryos being placed inside the female’s uterus) it is possible to calculate a broad statistic of a success rate you may have with your IVF Cycles. You can also try an online calculator, that can help you with your estimations. Many studies state that the probability of success grows with the more cycles the couple undergoes. The probability for couples to become pregnant in the first IVF Cycle can be lower than a couple trying on their 6th cycle or higher, according to most doctors. On the same note, there is an estimation that more than half a million births happen because of over 2 million IVF and other fertility treatment cycles. Studies show that the fertility treatments that have single embryo transfers have had an increase in percentage of 38% of cycles. It is estimated that 26% of IVF procedures led to a full term successful birth. These rates are estimated to go up year after year. For example, in Australia and New Zealand, there has been a large increase in live births through IVF in 2016 and 2017. In Australia, 13,596 babies were born in this time. In New Zealand, 1,602 babies were born because of IVF Cycles. Fertility statistics a dense and difficult subject to get your head around but nothing is as important as creating a family. Doing thorough research before undertaking infertility treatments is, of course, really important. Finding the right support network or fertility clinic can go a long way to help cut through the confusion. If you’re ready to start the conversation about your own fertility issues, contact ilaya´s fertility specialists here.